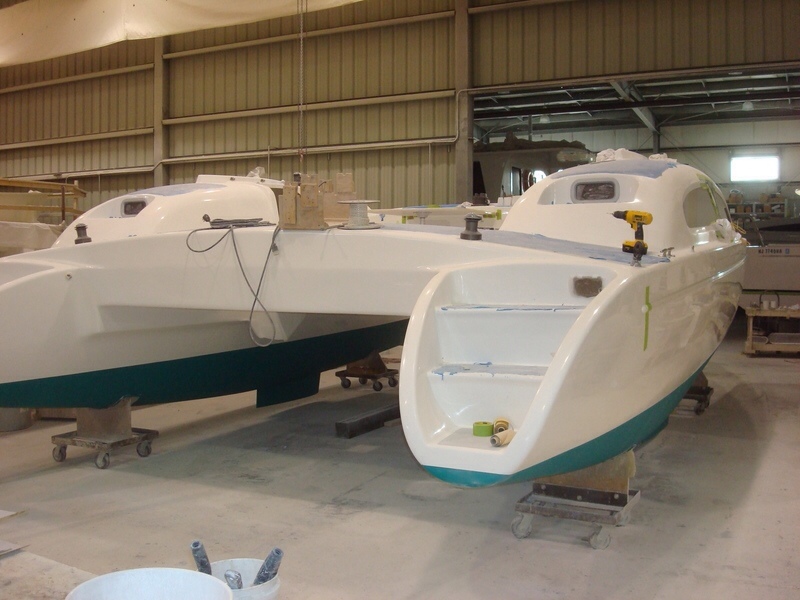 The delivery voyage for our boat is about two and one half months away. 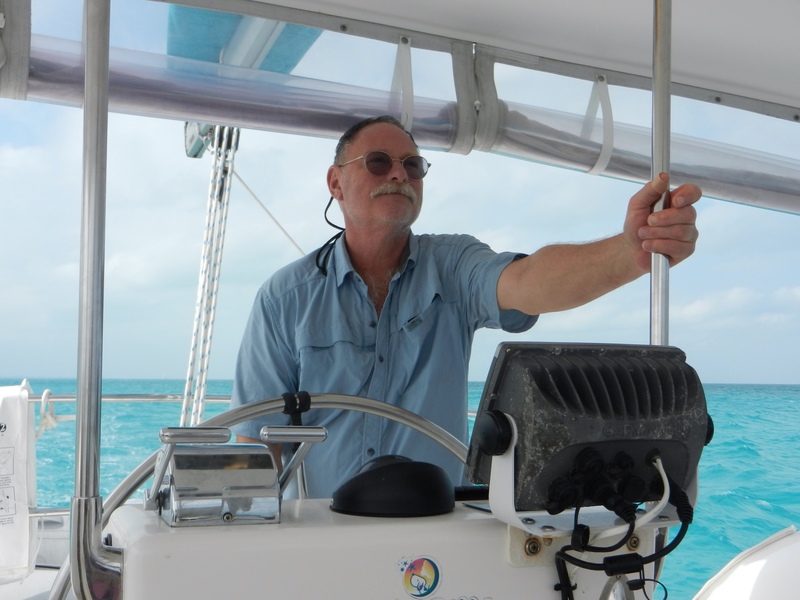 We charter with Capt. 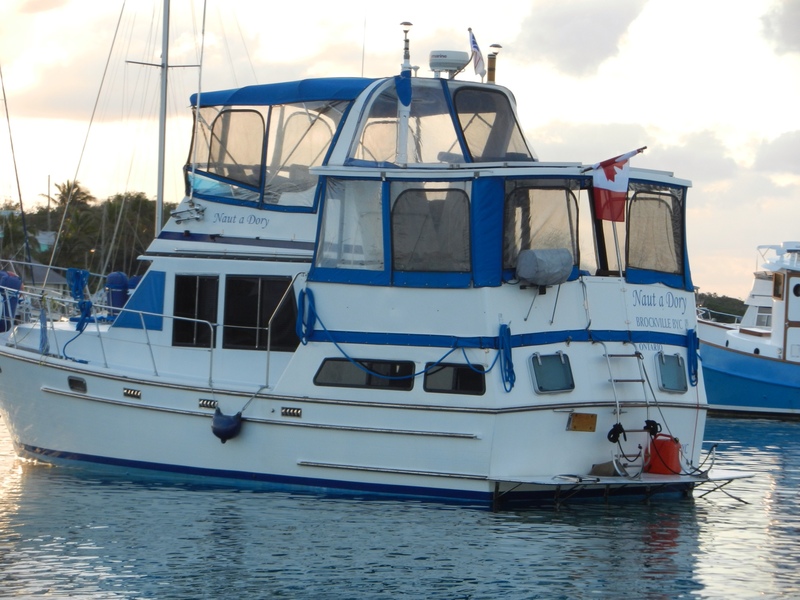 Jay and Lyse starting April 24 in the Abacos, Bahamas aboard Moon Doggy for a week and from there to Bremen, Maine around May 2nd. Then we shove off for a voyage down the eastern seaboard a few days after that. We plan to blog the trip so you can come along. 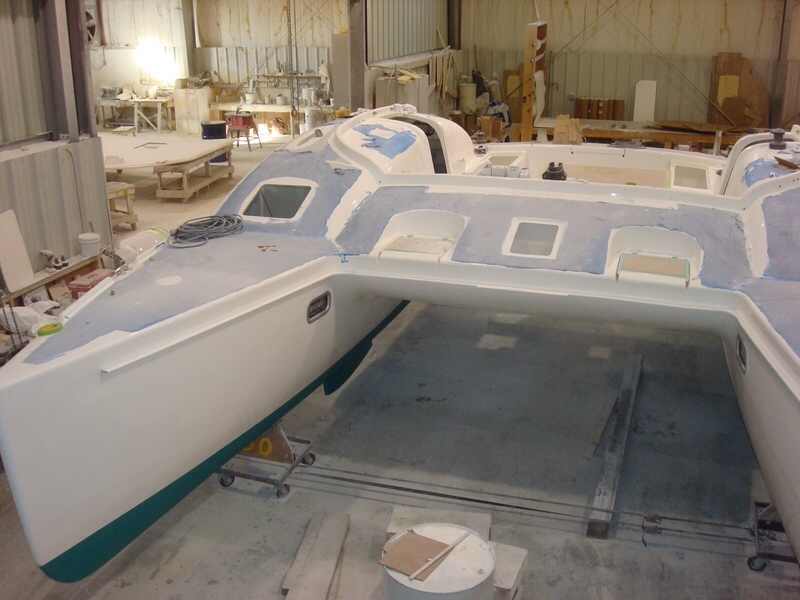 We estimate it will take four to six weeks to make Galveston. That means you could be sitting at the settee on the bridge deck with us on Lake Travis as soon as July! 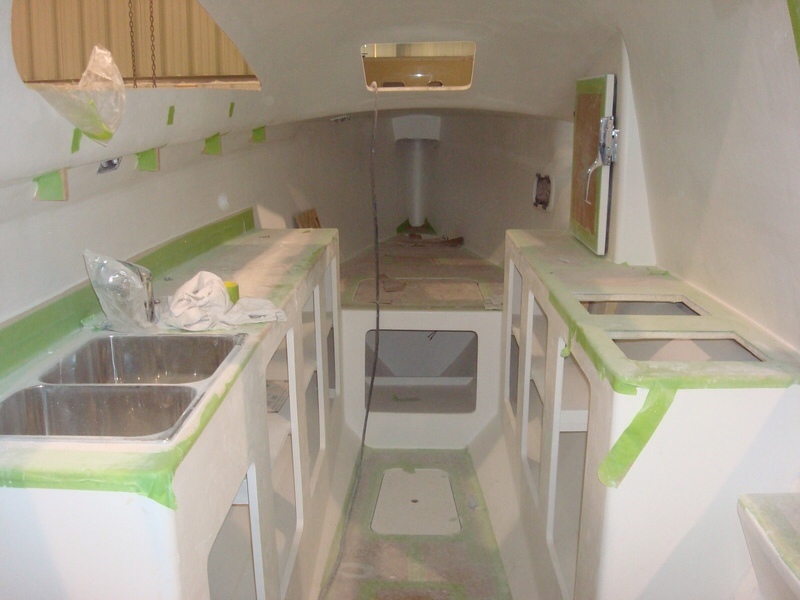 Here are the current photos of the boat in progress. That's all for now. We'll keep you posted. Hold on to you reading glasses, here's another post blowin' yer way. Noon came and Ron came back to take us ashore. 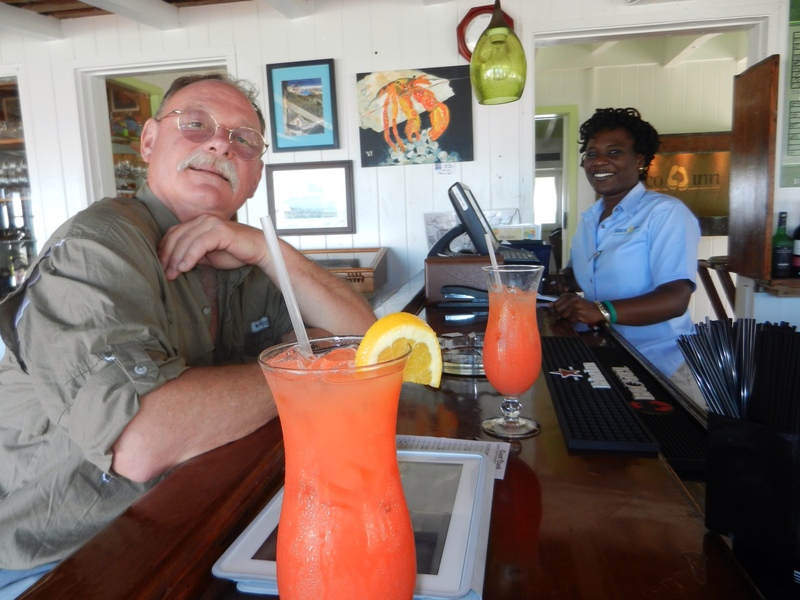 We were met by the shuttle driver from the Abaco Inn, a resort on Elbow Cay where we would get to spend the next two days. 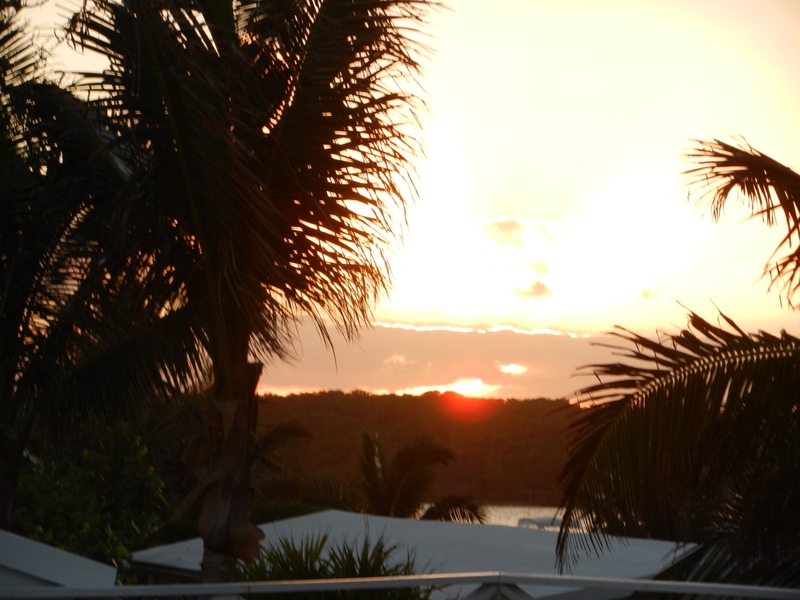 The Abaco Inn was absolutely wonderful and we soon came to feel that we were part of a country club type experience. 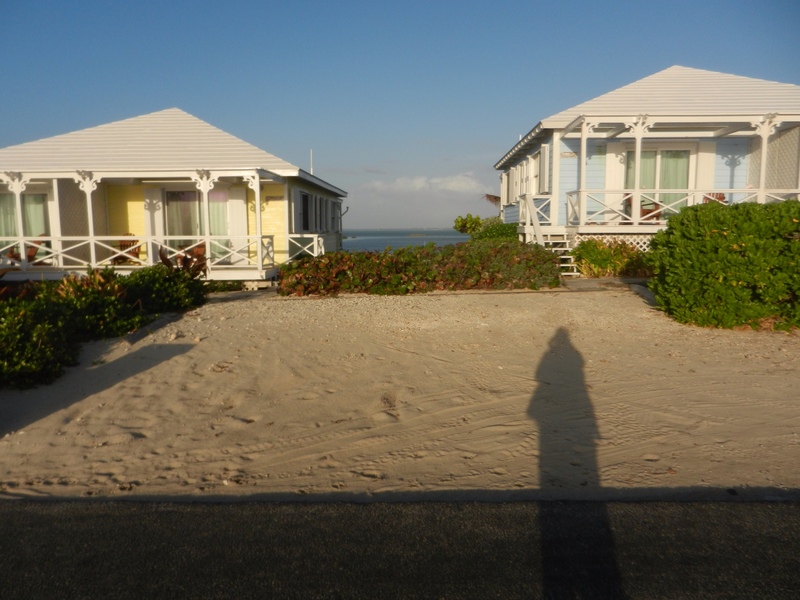 Our room was at the end of a short trail, totally private and facing the Atlantic Ocean. 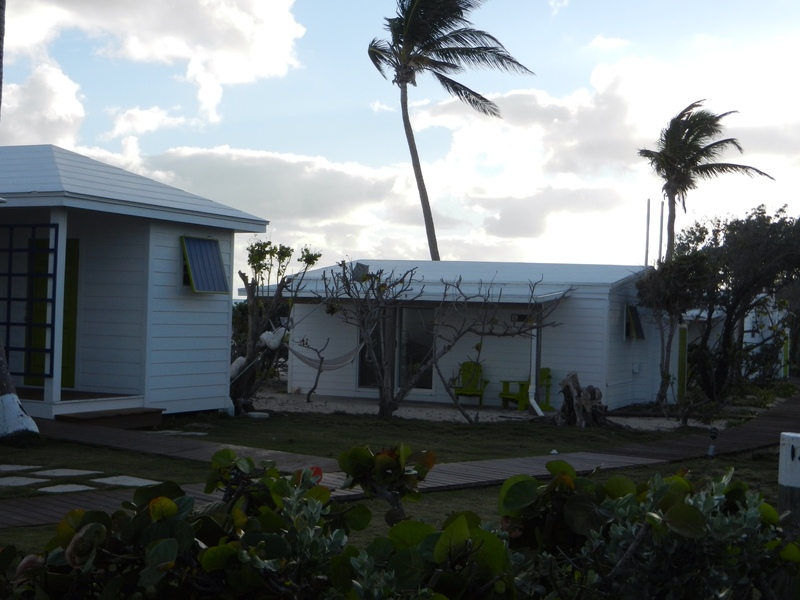 When we slept we left the sliding glass door open and could hear the surf and feel the ocean breeze. We felt very safe here. 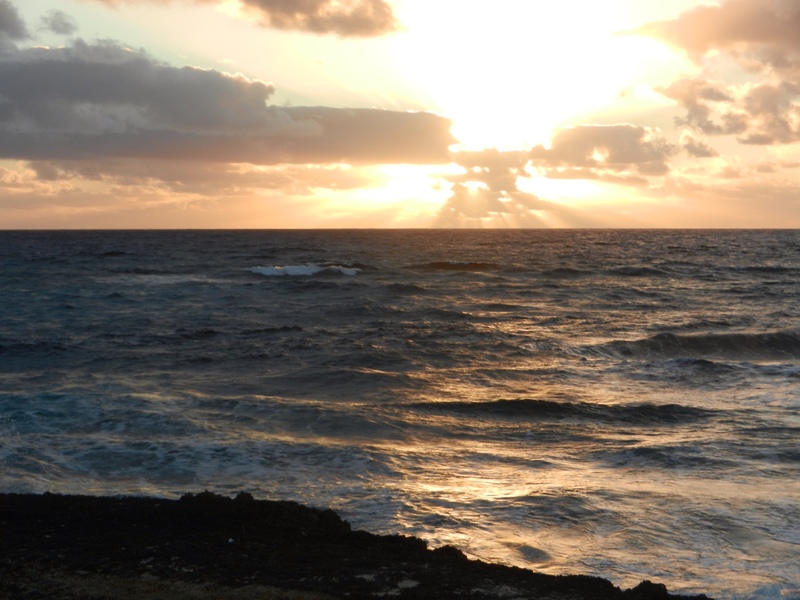 The Bahamas have very little crime and people are very respectful of tourists. Tourists are their best source of income. No one wants to do anything to anger the tourists. 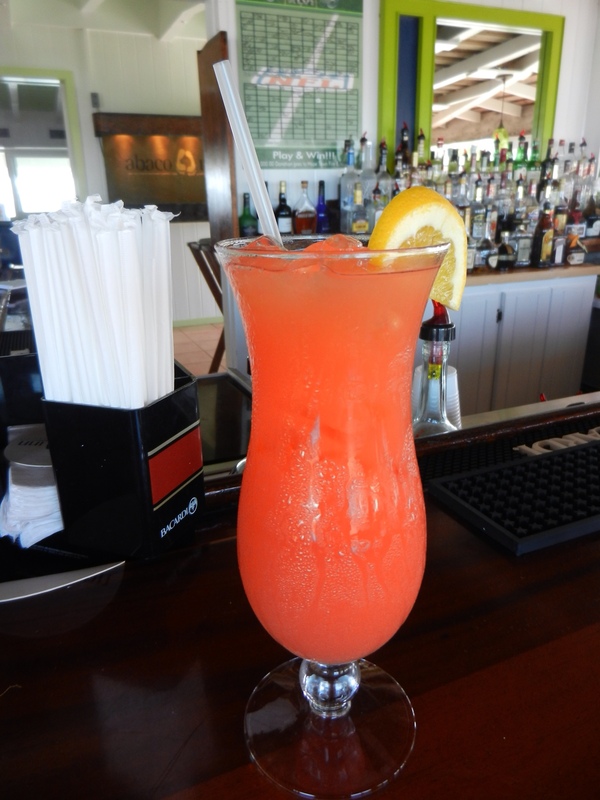 After putting the bags in the room we headed over to the bar for lunch and a Bahama Breeze, their specialty rum drink. They give you a free drink ticket when you check in so you can get started enjoying your stay right away. For lunch Franci had conch chowder and a lobster po'Boy. Stephen ate a grilled fish po'boy. 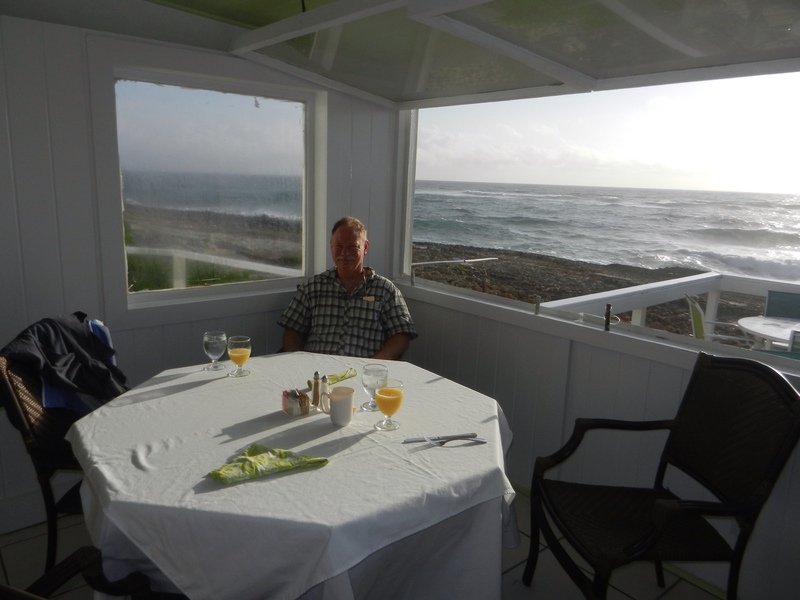 All the food at the Abaco Inn was gourmet and wonderful. We had met the bartender on the ferry the week before and we were all excited to see each other again. We offered her all the leftover food and dry goods that we had and could not take home with us. She was delighted to take it all. We became immediate friends. Izzy is her name, short for Izlane, a name we had never heard before. 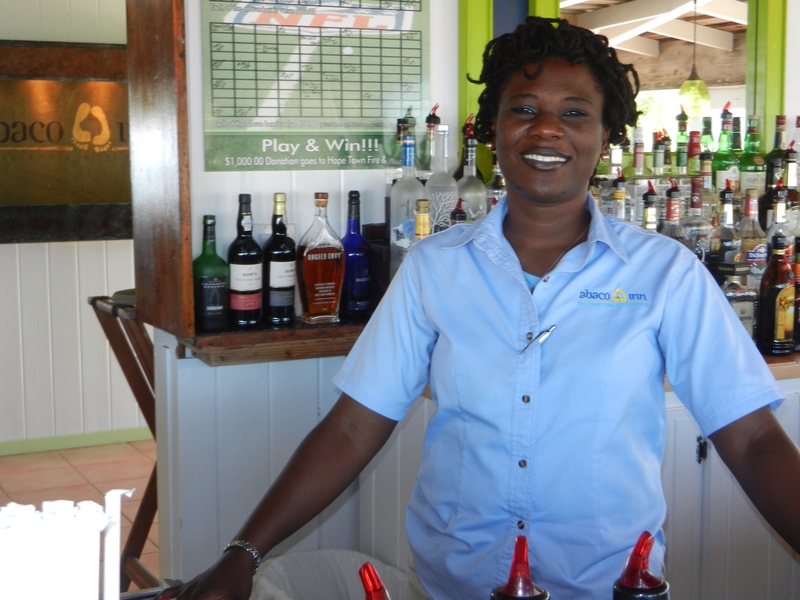 Ellen, the waitress, was also friendly and delightful. After lunch we went back to the room to freshen up and to pack and reorganize our leftovers to give to Izzy. Franci took a brief nap. Stephen took a video tour of our surroundings. We had landed in paradise. The manager, Tom, was always present and personably hostful to everyone. Tina, the assistant manager, was much less visible and was usually in the back office no doubt doing bookkeeping, payroll, purchasing and all the other many important things it takes to run a successful business. The desk clerk, Nicola, was there all day to answer any questions we had, sell us souvenirs, or take care of any needs we might have. We eventually met Danielle, the evening desk clerk…also a treat. We quickly became very comfortable in our surroundings. It was apparently the slow season and we were close to the only overnight guests they had. Lots of folks came for lunch, happy hour or dinner. 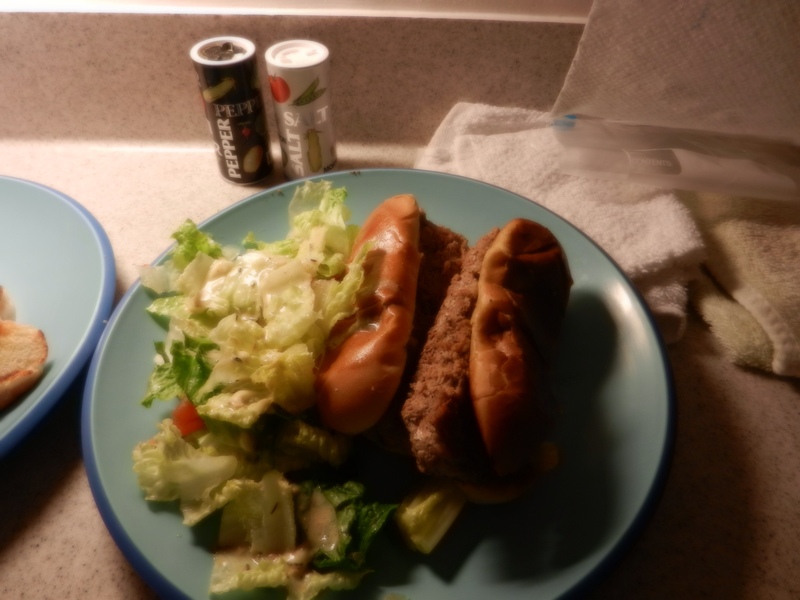 As we mentioned before, the food there was always gourmet and delicious. Our first night there was a presentation on beach dune erosion at 5 pm. Lots of folks, mostly locals we presume, came to hear the presentation. Most arrived around 4 pm in order to have drinks before the presentation. They kept the night bartender, Ken, very busy. Later the bar filled up with a crowd of folks playing some sort of game with dice. They laughed and were having lots of fun. We went to sit outside so we could take in the ocean air and sounds. We were still overwhelmed by how beautiful this place is. 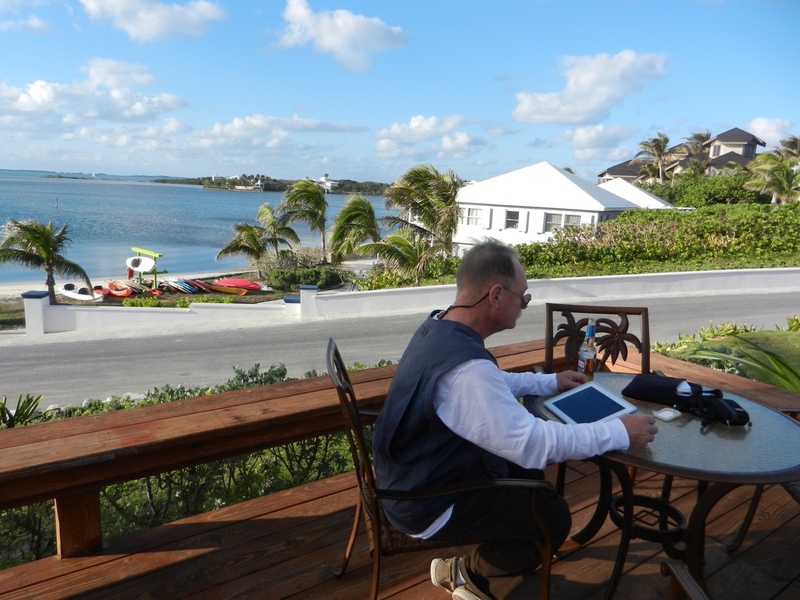 From just about anywhere you could see the Atlantic Ocean to the east and the Sea of Abaco to the west. 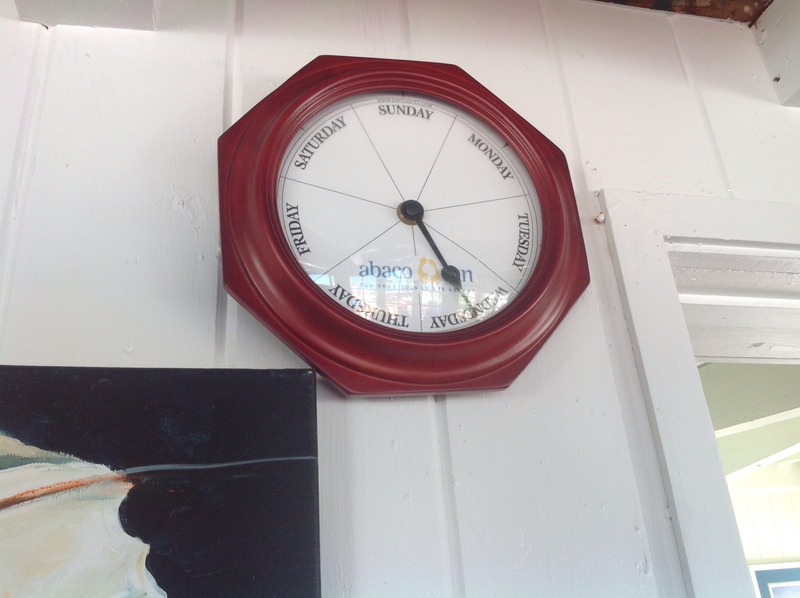 This is a really special feature at the Abaco Inn. The Inn stretches out for about a quarter of a mile. There is a main building with the office and gift shop, bar and restaurant. 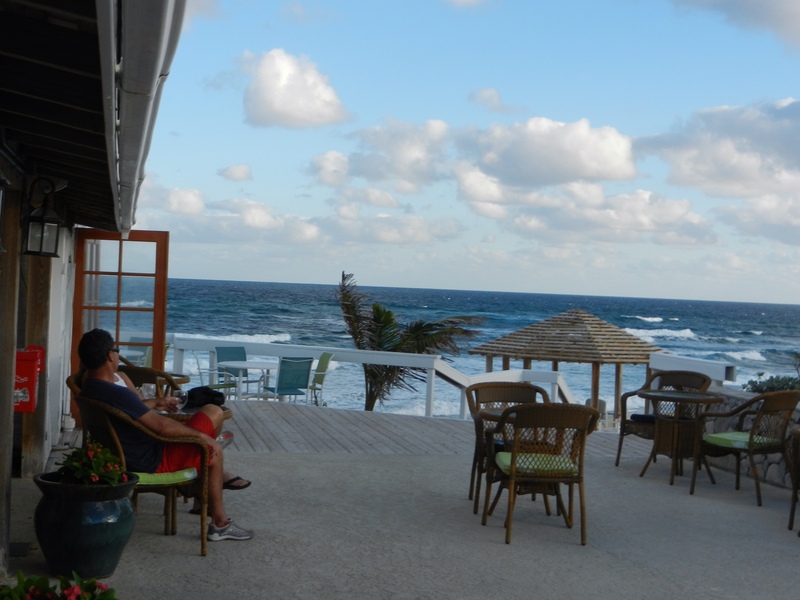 And there's a nice outdoor sitting area on the Sea of Abaco side by the bar. On the Atlantic side there is a swimming pool area and several nice places to sit where you can enjoy the incredible sights and sounds. They have four or five little cottages with two rooms each, back to back. Across the road were a couple of villas, sorta duplex style with two villas in each of the two buildings. There are several houses for staff members. Tom lives in one of those. 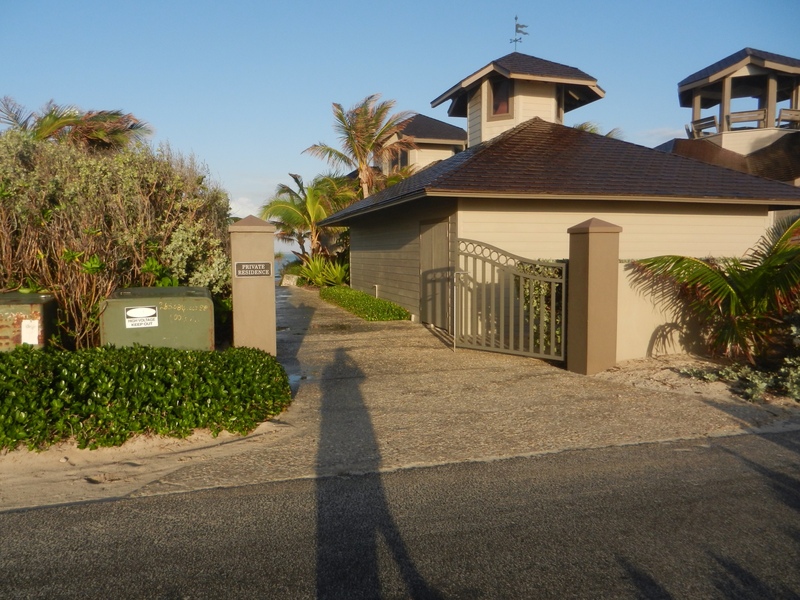 There is also a private peninsula across the road which has a dwelling or two on it. 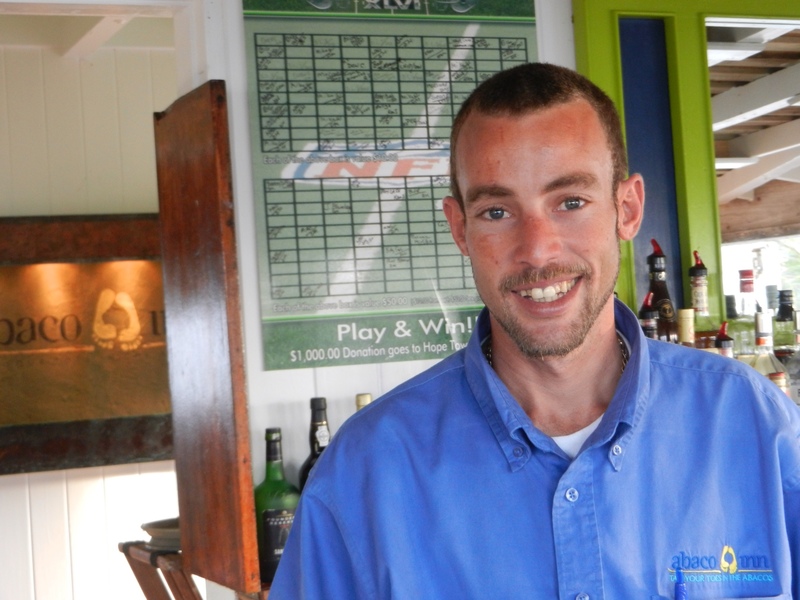 We understand it belongs to the Abaco Inn as well and that Tina, the assistant manager, gets to live over there. 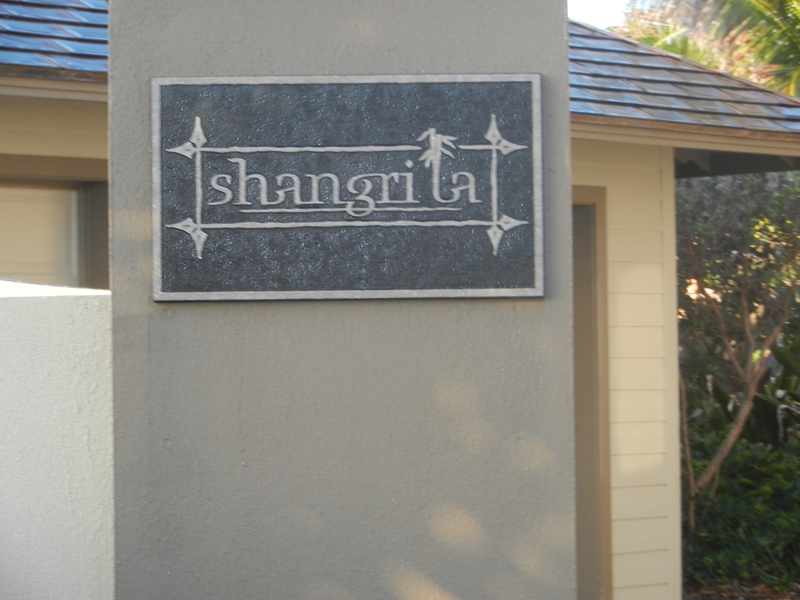 The owner's house is a beautiful, architecturally designed home named the Shangri La. 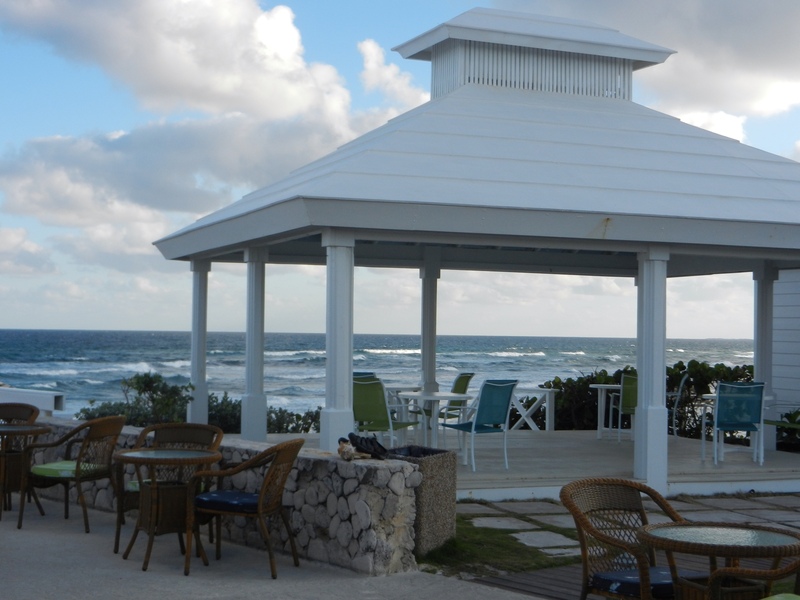 It is located on the top of a hill overlooking the entire Abaco Inn complex and has a view of both the ocean and the Sea of Abaco. 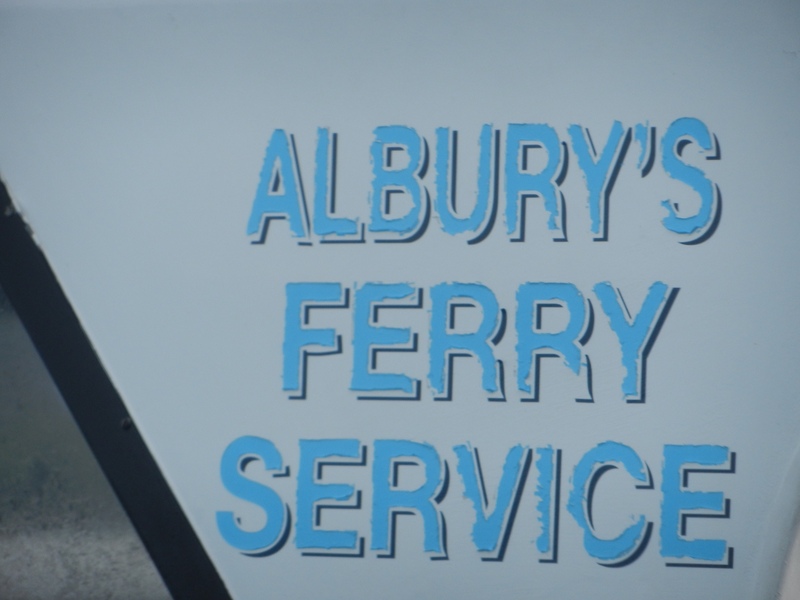 Most of the staff arrives on the early morning ferry that comes from Marsh Harbour, the largest settlement on the big island of Abaco. They are brought to the Inn by the shuttle driver, the same way we arrived. For dinner on our first night, Franci ate “surf and turf”, steak and lobster served with kale and mashed potatoes. 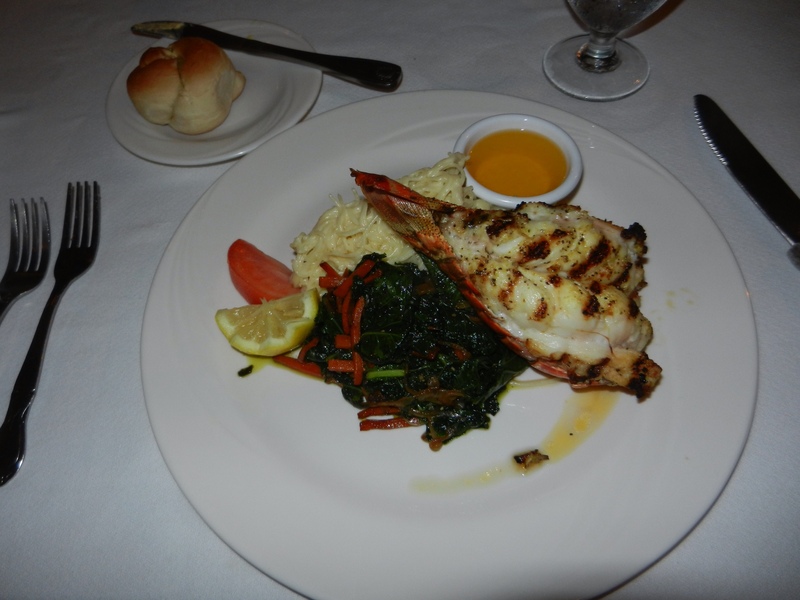 Stephen had grilled grouper, also served with kale and mashed potatoes. As mentioned before the food was always unbelievably delicious. Coffee is served every morning beginning at 6am. Tom was always there to make coffee and to greet folks. We noted that the same bunch of locals showed up each morning to start their day. We came to refer to them as the Men's Coffee Club. 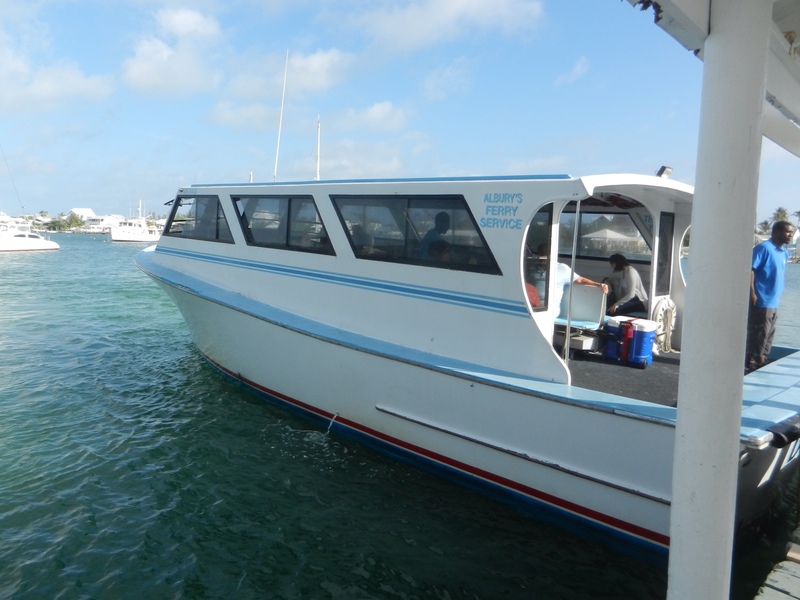 The staff would arrive by ferry and shuttle at 8 am and the day began. 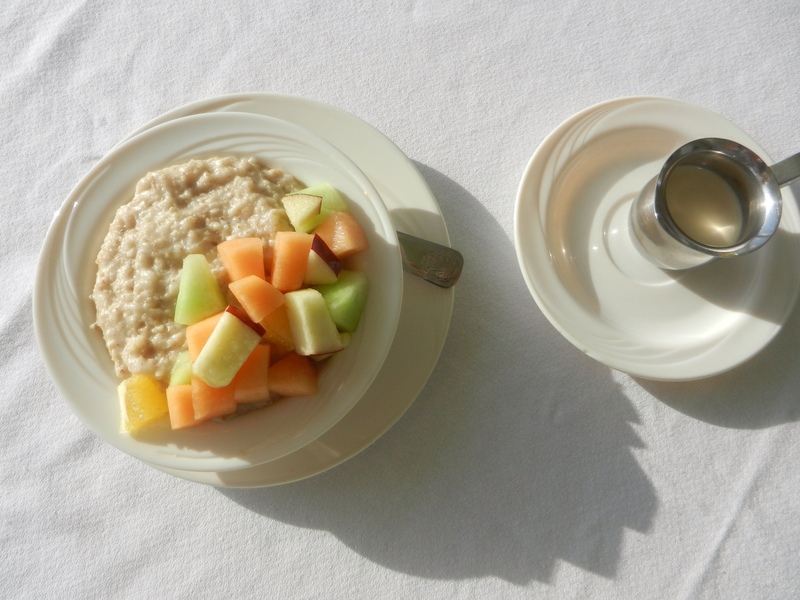 For breakfast we enjoyed oatmeal with fruit. 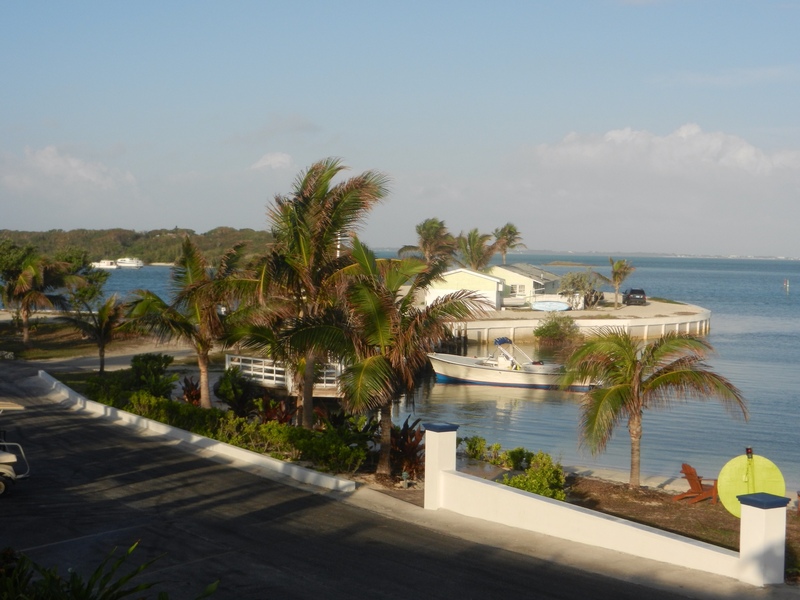 Wednesday morning we rode bicycles provided by the Abaco Inn down to Sea Spray Marina. We enjoyed fantasizing how fun it would be to have a boat there. 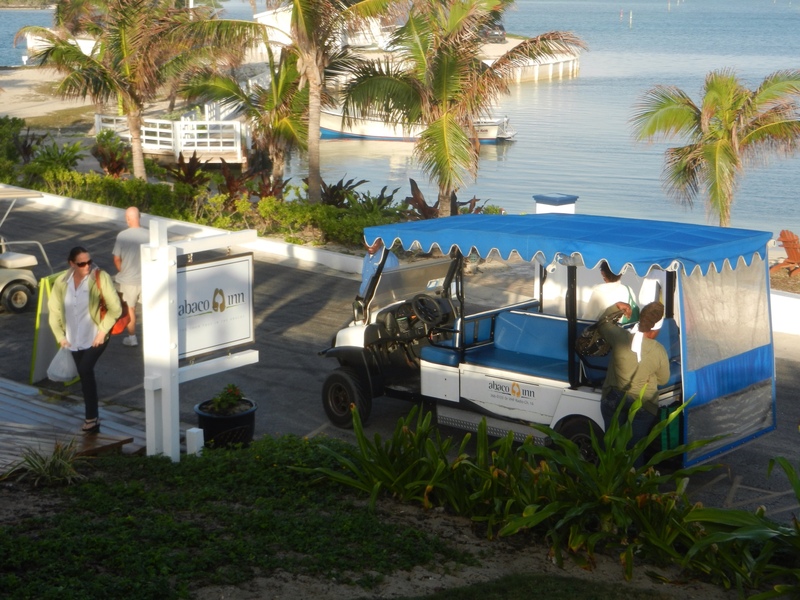 Bicycles and rented golf carts are the main transportation on Elbow Cay. There are no taxis on the island. On our next trip it was suggested we ride a bit further to visit Tahiti Beach, a reportedly gorgeous beach with lots of palm trees. After our outing, we returned to the bar for a Bahama Breeze and lunch. The day clock said it was Wednesday. 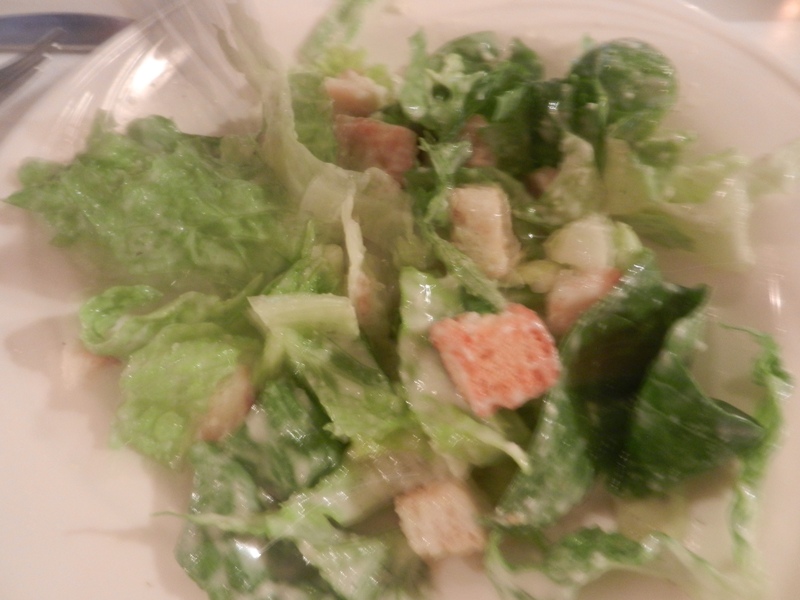 For lunch we tried a little lighter fare. We had salads, mine with coconut fried conch on top and Stephen's with grilled fish on top. Yum! We had a delightful time visiting with Izzy, our new friend the bartender. After lunch we returned to our rooms to pack our bags knowing that we would fly home the next morning. We came back to the bar in time to get a good visit with Ken, the evening bartender, before the crowds began to pour in for the evening's happy hour. Dinner that night was lobster with rice and peas and kale. 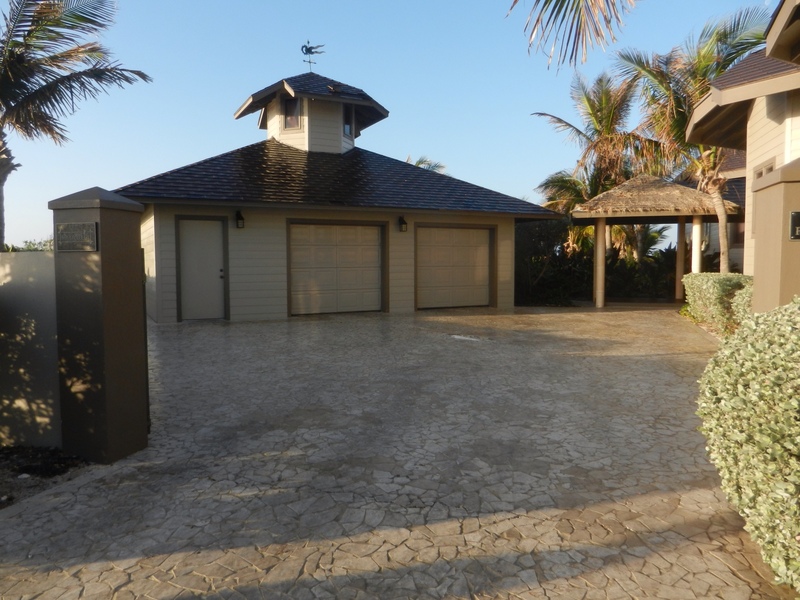 This day we were feeling much more like socializing and we met a lot of interesting folks, many of whom own vacation homes in the Bahamas and come as often as they can. We met a couple from Maine and we had much to talk about since we will be there in May to pick up our own boat. 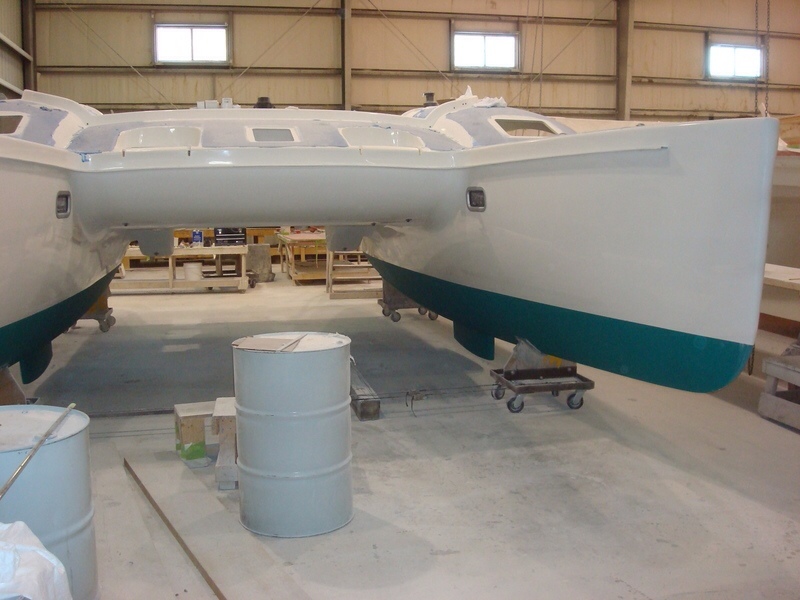 With tihe help of a professional skipper and his wife, we get to transport our boat from Maine to Texas. We are so blessed and are learning to blog so we can share this adventure with our family and friends. Needless to say, we are unbelievably excited about it all. 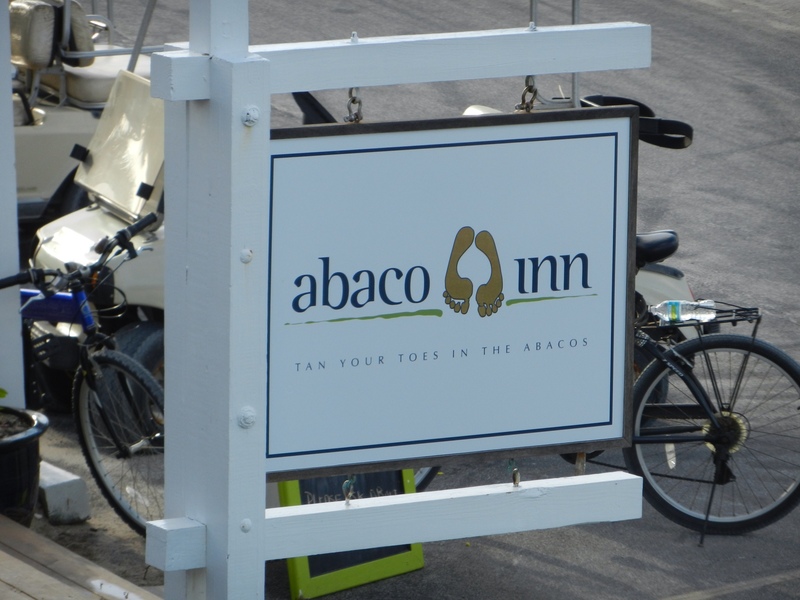 Thursday morning we had to say so long to the Abaco Inn and all the wonderful staff members we had come to know and enjoy. 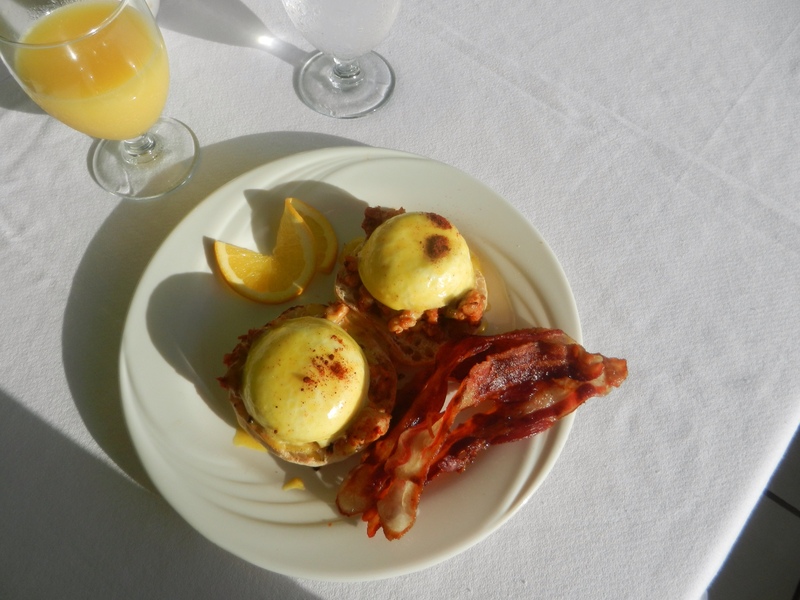 We savored our last breakfast…..eggs benedict with lobster and bacon for me, oatmeal and fruit for Stephen. We caught the 9:45 ferry to Marsh Harbour and began a long day's trek home. This will be the last post for awhile. 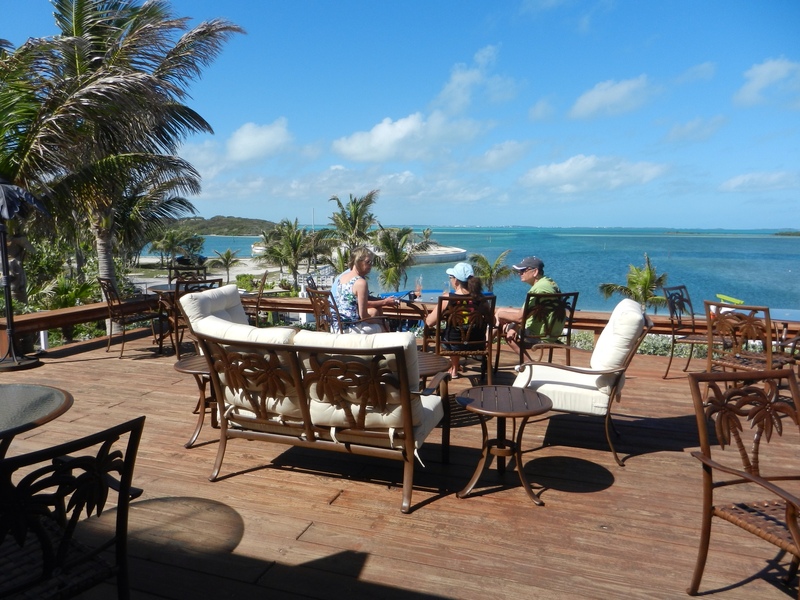 We return to the Abacos in April for another week on Moon Doggy, this time with our friends, Capt. Jay Moore and his sister, Lyse. 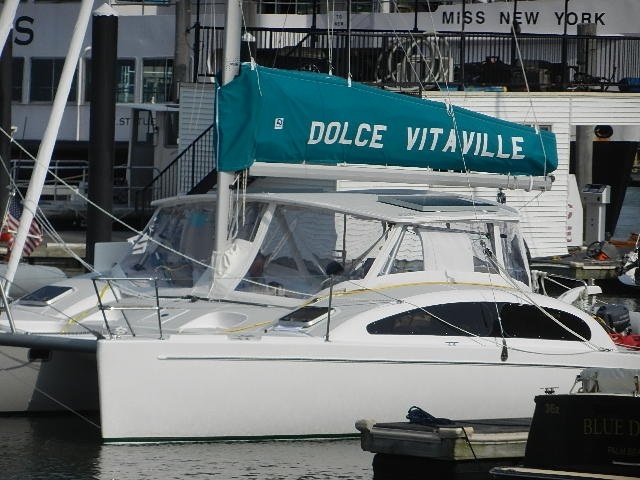 After that we fly immediately to Bremen, Maine where we will begin the journey from Maine to Galveston on our own boat, Dolce Vitaville. Your bunk has been reserved! 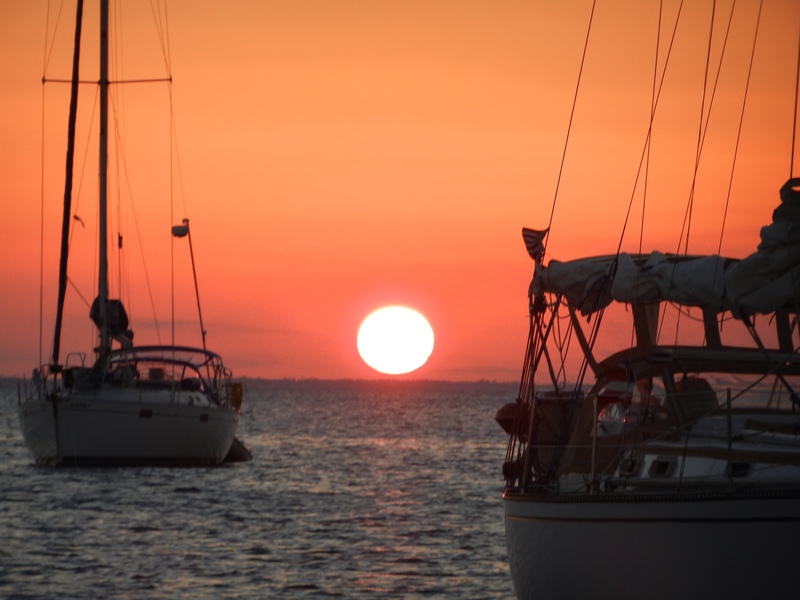 Another Dolce Vitaville sailing blog post blowin' your way! But first a couple notes. We are following the blog too so we get the email letting us know there is a new post. When we open the email the post text comes up with holes where the pictures and videos should be. We have to go to to the very, very bottom of the page to click “display images”. When that is done the ones that are videos don't have the red arrow to start them. But if we click on the title of the blog, like this one “dolcevitaville blog #9,” it takes you directly to the blog website and all the videos have red arrows. Maybe if you do that first you do not have to go to the bottom and download the pictures, we're unclear. We do know that if you go directly to the website http://www.dolcevitaville.com all the pictures are there and the videos have start arrows. We are still learning. Also, blog #8 had a space keeping editor note for where to put in a boat tour video. We did not put the video in but forgot to take the note out. So, on with the show! Before we start on today, Tuesday, we would like to show you some videos from Sunday that did not make in. Back to Tuesday, we arose before sunrise. 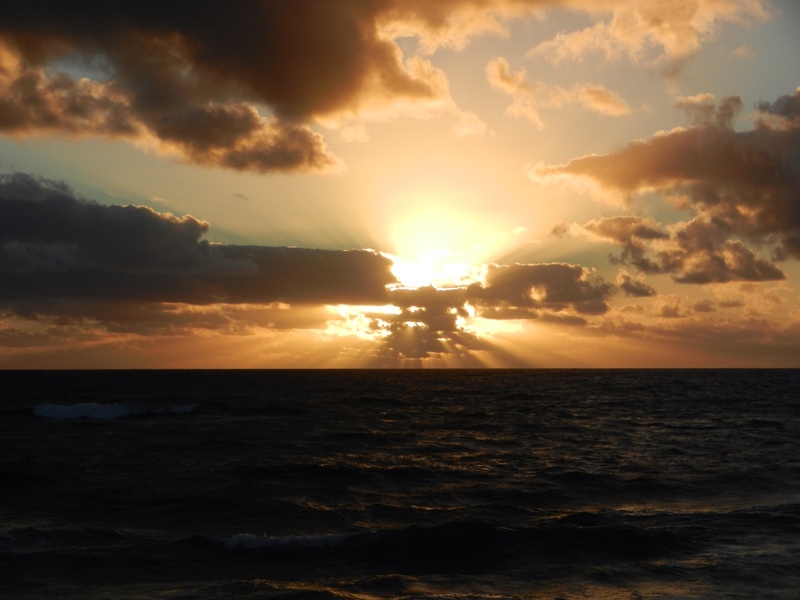 Franci made a nice sunrise video tour of the boat thinking she had flubbed the one the night before. We are still working on that one. This blog business has a large learning curve. 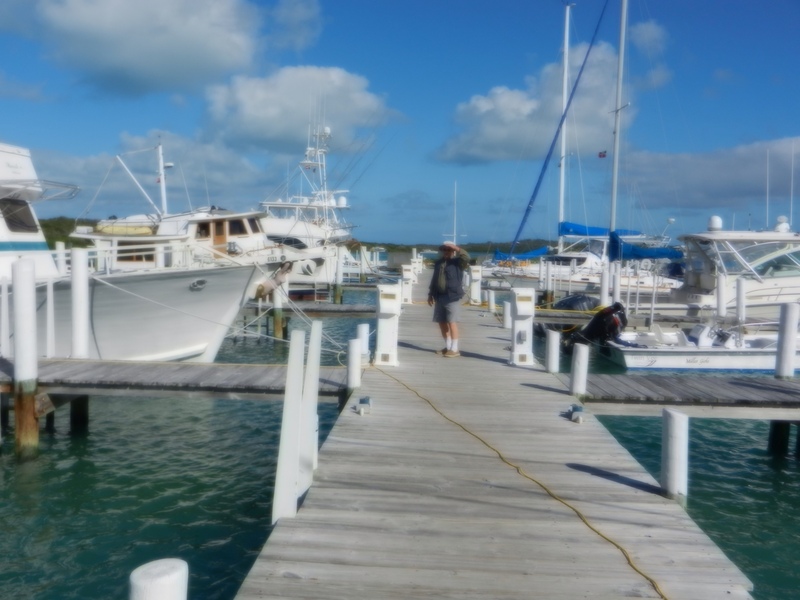 We left Man of War Cay around 8 am headed back to Hope Town. Stephen finally got a turn at the helm. We're having fun with this blog thing. We were instructed to arrive by 10:30 am so our host, Ron, could help us get fuel and water for the boat. They wisely do not allow charterers to dock the Moon Doggy. That's a skill that takes some practice and they prefer not to have guests practice with their boat. The fee for gas and water for our week's outing was less than $100. Folks who charter motor boats might be very envious. Although our charter was not officially over until noon, he wanted to get the fuel and water before the marina closed at noon. 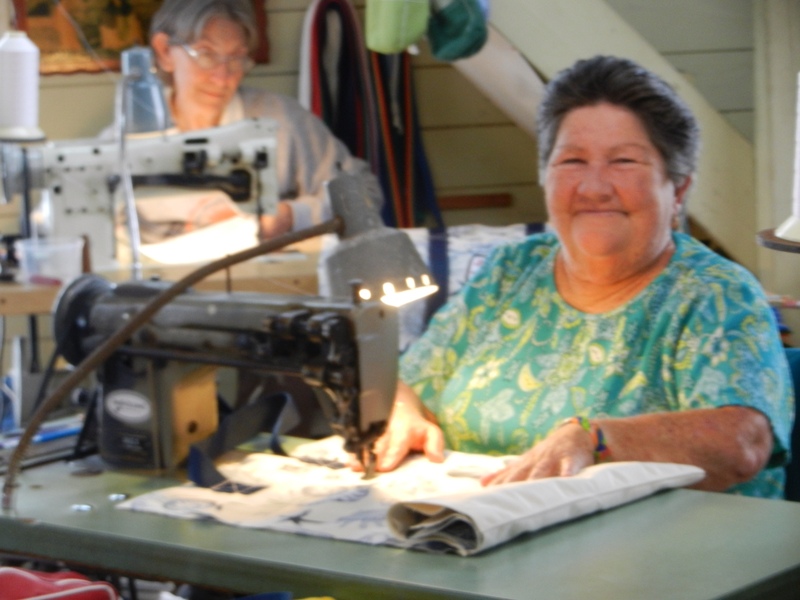 In Hope Town everything closes down from noon to one o'clock and folks go home for lunch….a very charming custom. The local church chimes play a tune at noon that can be heard by everyone in town, also a very charming custom. 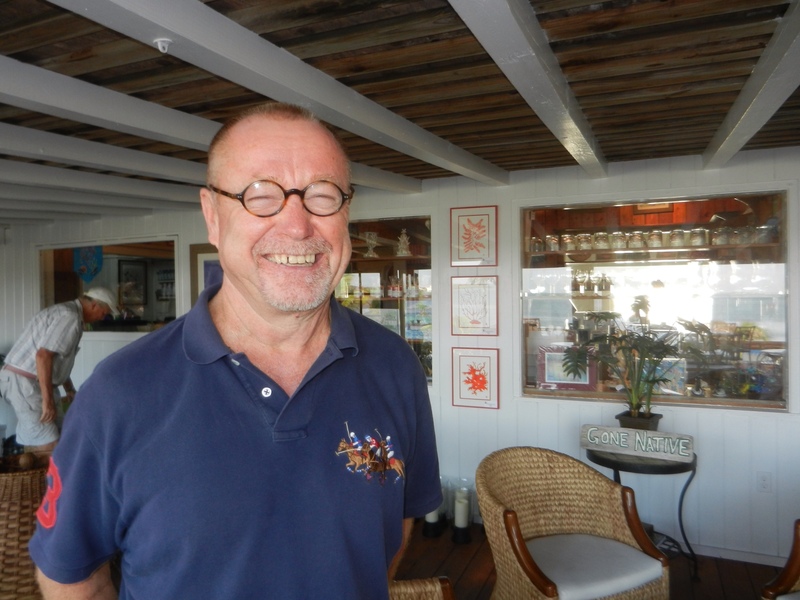 It was precisely 10:26 am when we had completed our mooring and called Ron to let him know that we were back. 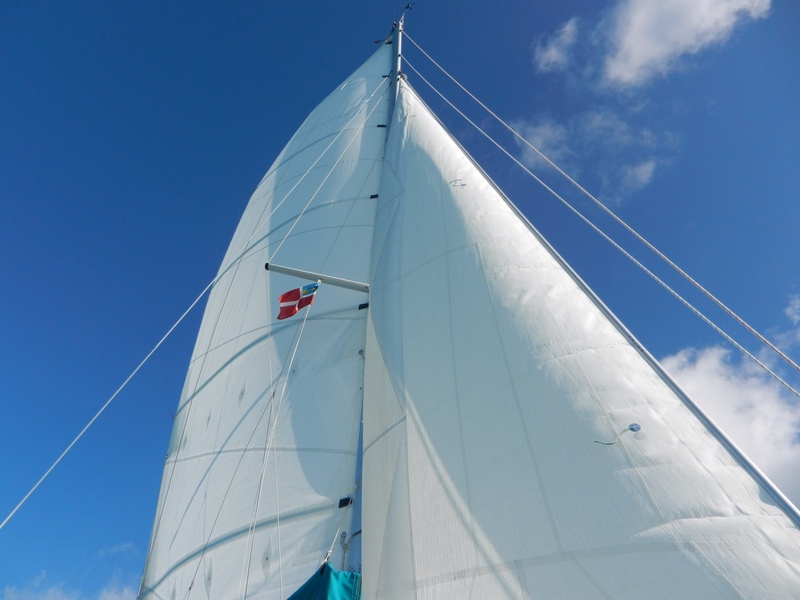 It had been a beautiful sail from Man of War Cay to Hope Town. The winds had calmed down again coming out of the East at about 10 to 15 mph. It was a lovely, clear morning. 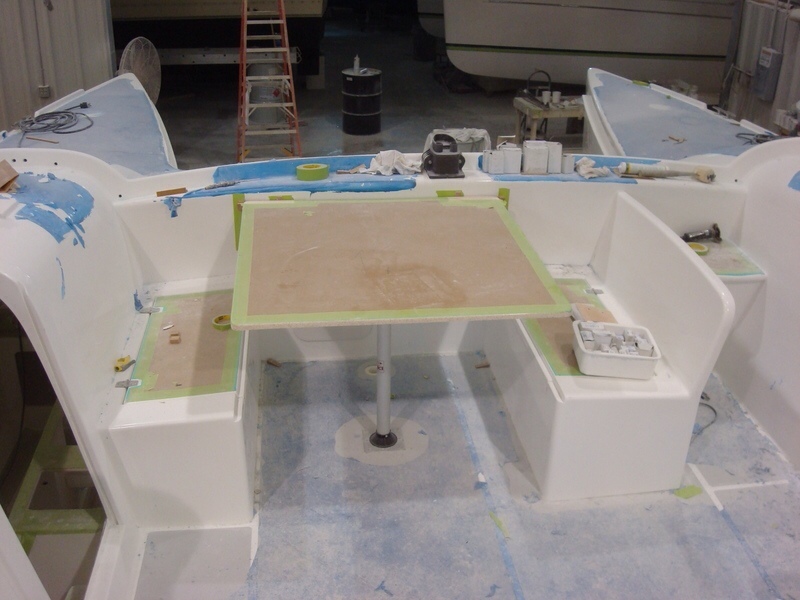 While Ron and Stephen docked the boat and refueled, Franci was busy packing up the rest of the stuff. 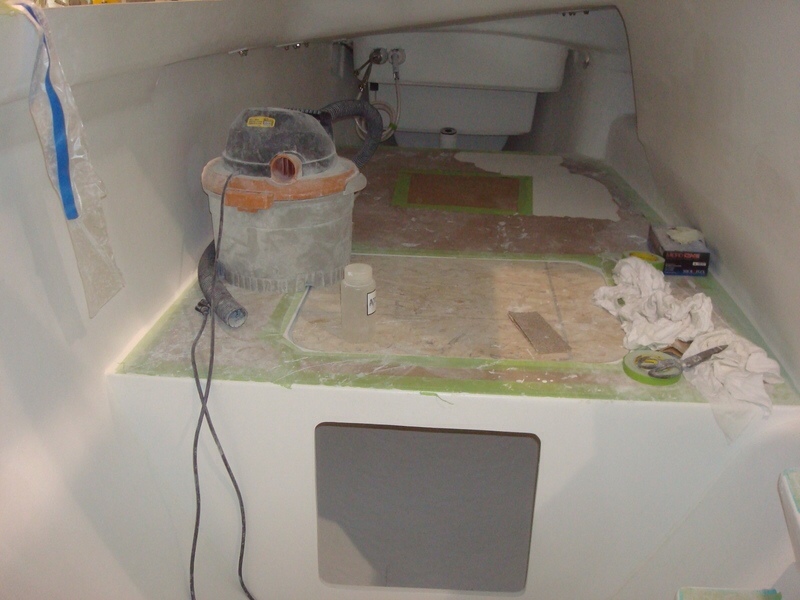 By the time we got back to the mooring ball we had the packing completed. Ron left again and we had until noon to sit and relax and savor our last moments on Moon Doggy. 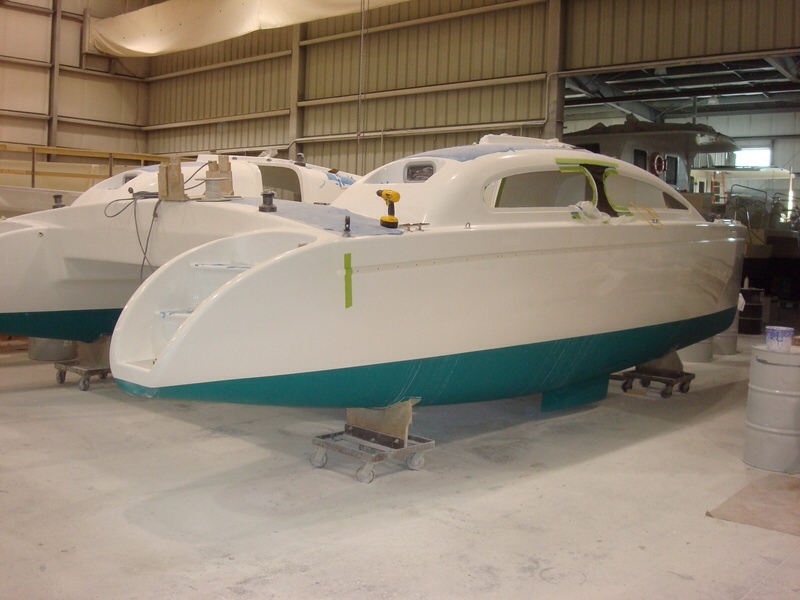 We love the boat and, of course, the best part is that we will have one of our own like it but with more sail options and toots and whistles very soon. 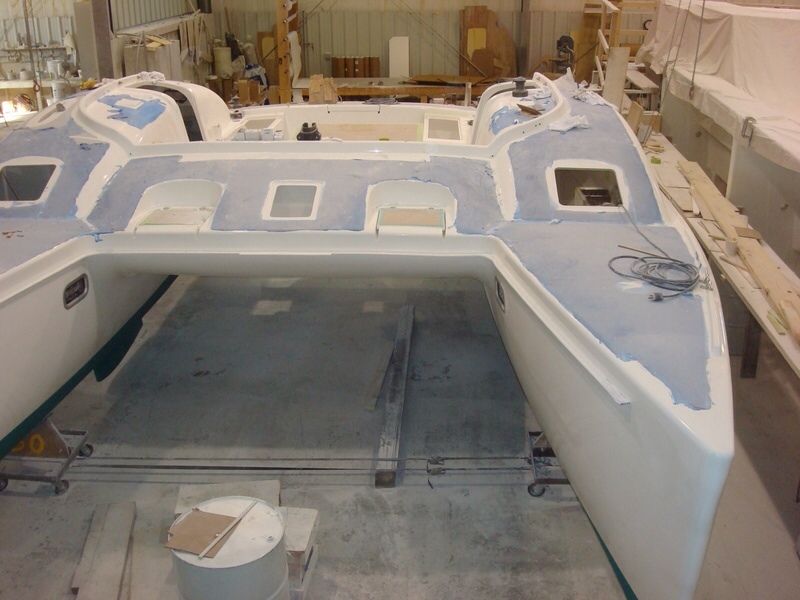 It will make a marvelous lake boat as well and we look forward to many wonderful times on Lake Travis with family and friends.